What is a Fortified Home? Mother Nature can be beautiful, however; she also has an unpredictable temper. Even though weather centers have the state of the art equipment for predicting the weather, the weather is still very unpredictable. With just a blink of a hurricane eye, you and your family's life and lifelong accomplishments can be wiped out with one huff and puff from the big bad wolf. Unpredictable weather disasters are one of the reasons The Insurance Institute for Business & Home Safety (IBHS) has developed a set of FORTIFIED home construction standards and methods. Who is IBHS and What is A Fortified Home? IBHS is an independent, nonprofit, scientific research and communications organization based out of Tampa, Florida. Their research and building standards take home construction and updating to a new level of protection against the high winds of tropical storms and hurricanes and other natural disasters. The Insurance Institute for Business and Home Safety (IBHS) is supported solely by property insurers, and reinsurers IBHS' building safety research leads to real-world solutions for home and business owners, helping to create more resilient communities. 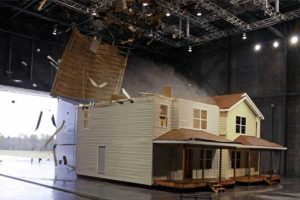 The Insurance Institute for Business & Home Safety (IBHS) has a mission "to conduct objective, scientific research to identify and promote the most efficient ways to strengthen homes, businesses, and communities against natural disasters and other causes of loss." Should I Build a Fortified Home in Florida? In Florida, hurricane season runs from June 1 through November 30. 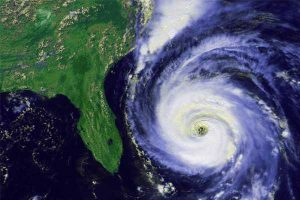 The number of hurricane development in the Atlantic is increasing, and the growing populations and new home construction along the coastal areas of Florida are making more homeowners vulnerable to this expanding hurricane threat for the 2017 season. Even though Florida went through a few years without a hurricane hitting land, that trend was broken in 2016 which was one of the most active hurricane seasons in Florida's history. 2016 brought one of the most devastating storms of the year which was Matthew, which hit October 2016. Even though it only reached the coast of Florida, the damages it inflicted were unforgettable. After years without hurricane activity, 2016 caught many by surprise. A Fortified Home in the wake of such a storm would have not only saved lives but also saved homeowners a lot of time and money. Florida is an active hurricane area and according to NOAA , "Forecasters predict a 70 percent likelihood of 11 to 17 named storms (winds of 39 mph or higher), of which 5 to 9 could become hurricanes (winds of 74 mph or higher), including 2 to 4 major hurricanes (Category 3, 4 or 5; winds of 111 mph or higher). An average season produces 12 named storms of which six become hurricanes, including three major hurricanes." during 2017. Will you be ready for this unpredictable season? What are the Benefits and Advantages of a Fortified Home? 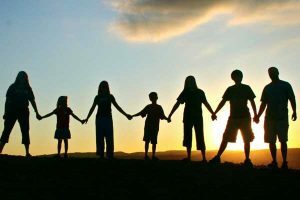 Your home and your belongings are a significant investment, something you have worked hard to achieve, and then there is family, one of your greatest assets and riches in life. Protecting this and them should be a high priority at any cost. According to IBHS fact sheets. A Fortified Home provides you with peace of mind knowing that your home is built sturdy and built to last, withstanding anything that mother nature brings. A Fortified Home offers from top to bottom protection of the treasures and memories that make your house a home. A Fortified Home will safeguard your greatest investment, which is your home by making your home more sustainable and energy efficient. By sealing all the seams that can leak or allow warm air or cold air to escape. A Fortified home will improve and add value to your property making it more marketable if you decide to sell. Prospective buyers will know that it is built to the highest standard and with a transferable FORTIFIED for Safer Living designation; they too will be able to have the peace of mind that you enjoy. A Fortified home will helps homeowners lower the overall cost of your community's recovery after a disaster. A Fortified Home will contribute to reducing your insurance premiums for your home and giving you incentives that are well worth the cost to build, giving you a boost in your pocket book. But the most important benefit of all is the strength in the construction of your Fortified home could save the lives of you and your family against the unexpected flood, fire, wind, hail tornado or hurricane. A properly stocked Fortified home could also eliminate the need to dash to the grocery store at the last minute to prepare for the coming storm only to find the shelves are empty and the lines are long. According to Nationwide,"Incentives that offset the retrofitting or building costs could encourage homeowners and businesses to rebuild to FORTIFIED, the strongest building standards available." 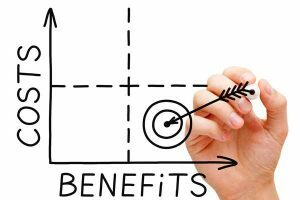 What is the IBHS Fortified Home Program? IBHS or The Insurance Institute for Business & Home Safety created the FORTIFIED Home™ program which will help homeowners build new or upgrade existing homes that are stronger and meet a higher standard in construction using the IBHS construction methods protecting against hurricanes, high winds, earthquakes, hail and other disasters. The FORTIFIED Home program includes an in-depth inspection by an independent, third-party, certified evaluator who puts together a full report containing verified information regarding your home's current disaster resistance, materials, and methods used during construction. Fema or Federal Emergency Management Agency show that IBHS developed the Fortified Home program with the help of the insurance industry to make sure insurance premium reduction is received by those homeowners that take advantage of Fortifying their homes with greater deductions being awarded to those that fortify at a higher designation level. Under the Federal Emergency Management Agency (Fema) and IBHS, the FORTIFIED HOME program consists of three levels under Bronze, Silver, and Gold; with each designation being a little better than the one before. Protect the building openings (windows, entry doors, and garage doors) from wind launched debris also known as windborne debris. A Gold designation requires a more invasive inspection and has a greater project cost. But the peace of mind it will bring will far outweigh the higher cost. Fortified Gold Construction is the highest level of standard and method given by the Insurance Institute for Business & Home Safety (IBHS). However; here at Gast Homes, we believe in going a step further to protect you, our client, and the people that are most important to you and your personal belongings. When you are faced with any natural disasters like wind driven rain, hurricanes, earthquakes, tornado's or flood, and even fire, you can rest easy. What makes our Gast Homes so much better? All our homes are built with high-quality materials, and because we take care of all task from beginning to end, we can keep an eye on all that goes into your home. We use better than the standard requirements for the construction of an IBHS Fortified Home. All of our homes have ICF exterior wall upgrade options with six-inch rebar reinforcing the concrete which makes it ten times stronger than wood and four times stronger than CMU Block Walls. Coastal plans come standard with missile impact rated which means that they meet or exceed the standards for windborne debris protection. Our roof systems include Advantech Zip roof sheathing with ring shank nails which hold more securely than the average roofing products. We use a short soffit overhang to help avoid uplift from the high winds that a hurricane can bring and have options for sealed attic designs. Has a full frame metal strap at the truss ends giving a full top to bottom uplift barrier holding the home together when hurricane winds hit or any natural disaster. What does it cost to build a Fortified Home? The cost to build a Fortified Home is often higher than it would be for traditional construction, however; the safety of you and your family during a hurricane is far more important. At Gast Homes we understand that cost can be a significant factor when building a new home, we don't think you should have to choose affordability over safety. Gast Homes uses over 20 plus general contractors and purchase hundreds of thousands of dollars’ worth of products each month to put into our homes. As a direct distributor, we can save 20 to 30 percent or more which allows us to pass the savings on to you, our client, enabling us to offer you a better-built home at a more affordable price. We are a real general contractor with the experience and understanding of the construction business. We run our own crews on every project, which allows us to personally manage every task that goes into our projects from beginning to end. 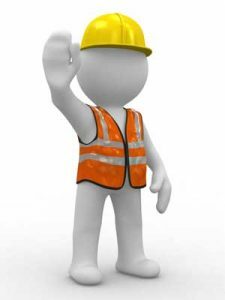 Other contractors will hire many sub-contractors, who will not always follow the guidelines specified and then they purchase their own materials, mark up the prices and charge the consumer for their portion as well. Gast Homes cuts out the middle man and oversees everything that goes into your home. Just imagine when everyone else is running around frantic trying to get what they need to batten down the hatches. Going to get lumber for the windows, food for the pantry, water for the extended stay and whatever else they need, right before that big named hurricane makes landfall. You will be going home, drawing the shades on your hurricane safe windows, sitting down to a good dinner and waiting out the storm in a safe and secure Fortified home knowing that when the storm passes you and your family will emerge safe and sound and your property intact. Building a home that is not only safe but brings all the other benefits that one of our homes brings is a smart investment. Gast Homes look forward to sitting down with you and walking you through the process of getting your fantastic, safe and energy efficient Fortified Home.